Chemo-toxicity is the toxicity or side-effects induced by the chemotherapeutic drugs, i.e. the drugs or chemicals used for cancer treatment. The toxicity of chemotherapeutic drugs affects a number of parts of the body. The organs like heart, kidney, and lungs are most commonly affected. The bodily functions such as those of muscles, nerves or stomach are also impeded. These side-effects of chemo-toxicity lead to pain, nausea, vomiting, fatigue, loss in coordination, anemia, problems in clotting of blood, hair loss, fatigue, breathlessness, infections, etc. Among all the toxicities induced by chemotherapy, hematotoxicity and neurotoxicity are the most frequent. Hematotoxicity results in bleeding disorder and compromised immunity. Neurotoxicity causes neuropathy (nerve damage), most importantly peripheral neuropathy. This result in weakness, numbness, pain, tingling sensations, sensitivity to stimuli like touch or light, impaired organ functions or even paralysis. The chemo-toxicity arises from the damage caused by cancer drugs to the healthy cells of the body. The chemotherapeutic drugs target the rapidly dividing cells, i.e. the cancer cells. During this process, the healthy fast-dividing cells of the body such as blood cells also become a target of these drugs. The damage to the healthy cells triggers various inflammatory responses and produce reactive oxygen species (ROS) leading to the side-effects. To overcome the chemo-toxicity, other drugs to treat the respective side-effects are generally used. However, these drugs may prolong the complications or may not prove to be as effective. In keeping with the above problem, the demand for natural remedies to conquer the chemo-toxicity is ever increasing. A number of herbs and plant products are proving to be an effective measure against the side-effects of the chemotherapeutic drugs. One such plant product is turmeric, a common spice. Each drug has a different mode of action which it uses to kill the cells. A system was proposed by Suter and Ewer which classify chemotherapeutic drugs according to the damage they cause. Type I drugs are the ones which cause irreversible damage while Type II drugs are the ones that cause reversible damage. In order for all the cancerous cells to be eliminated, these chemotherapeutic drugs are given in the maximum dose. The adverse side-effects of these drugs tend to harm other normal organs and tissue of the body resulting in neurotoxicity (brain toxicity) and kidney toxicity. The chemotherapy agents induce the production of reactive oxygen species (ROS) which are harmful for the cells . Another complication associated with chemotherapy is oral complications. It results in damage to the oral tissues (stoma toxicity) which include changes in saliva, infection, bleeding, taste alternation and mucositis (damage of the alimentary tract). The late toxicity includes mucosal atrophy and xerostomia (dry mouth). One such drug is Cisplatin (cis-diamminedichloroplatinum II) which is recommended for treatment of lung cancer, bladder cancer, prostate cancer, ovarian cancer, esophagus cancer, and breast cancer. This drug has anti-tumor action and hinders nucleic acid synthesis. It also degrades enzymes which play a significant role in protecting tissues from oxidative damage. Other drawbacks include lipid peroxidation and disruption of redox balance. Another example of a chemotherapeutic drug with adverse side-effects is Doxorubicin (Adriamycin). This drug is used for treating leukaemia, soft tissue sarcoma, thyroid cancer, breast cancer, and others. The drug mostly results in cardiotoxicity which includes loss of myofibrils and swelling of sarcoplasmic reticulum. This drug binds to iron and forms a complex which increases the radical reactions which lead to the formation of oxygen free radicals. These radicals are extremely harmful to the tissues. How Turmeric Protects from Chemo-toxicity? 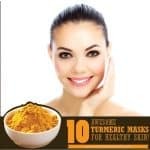 Turmeric, scientifically known as Curcuma longa, is the rhizome of the plant which is used the fresh or dried powdered form as a spice in cooking. Besides its culinary use, it is also an important ingredient in traditional medicines like Ayurveda. It is used as a dye, in cosmetics, and as a preservative. Turmeric is long known as an antiseptic and pain relieving substance. Scientific studies have thrown a light on its various other properties, most notably its anti-inflammatory, antioxidant and immune-modulating activities. 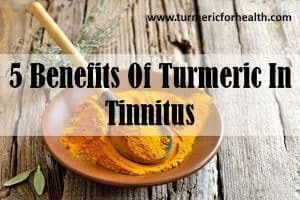 The turmeric component, curcumin is considered a very efficacious substance against various complications related to inflammatory responses and oxidative stress such as those caused by chemo-toxicity. Since chemo-toxicity is mediated by the production of ROS and inflammatory responses, the antioxidant and anti-inflammatory action of curcumin can be very useful in combating it. The anti-inflammatory activity of curcumin is mainly associated with the enhanced expression of PPAR-γ gene. PPAR-γ is known to suppress the pro-inflammatory molecules, such as TNF-α. Curcumin’s anti-inflammatory action is also linked to its ability to inhibit a number of enzymes and other molecules involved in inflammation, such as cyclooxygenase (COX), lipooxygenase, nitric oxide, interleukins, etc. The antioxidant activity of curcumin is related to its free radical scavenging mechanism. Curcumin lowers the energy of the ROS, which is highly active such as superoxides and peroxides. This prevents their combination with proteins or other components of a cell that leads to their damage. The ability of curcumin to chelate highly reactive metallic ions also adds to its antioxidant activity. Turmeric (curcumin) has been studied to be a potential protective agent against the chemo-toxicity. It has been found to protect against neurotoxicity, hematological toxicity, cardiotoxicity and other side-effects of a number of chemotherapeutic drugs. Cisplatin and oxaliplatin are the chemotherapeutic drugs that are metallic salts and are alkylating agents, i.e. they damage the DNA of cancer cells. Cisplatin is a Platinum-based compound, it binds with the purine bases in DNA and thus, blocks cell division leading to the death of the cell. It is being used alone or in combination with other cancer-drugs to achieve maximum effectiveness. It is used to treat various cancers such as those of bladder, testicle, ovary, lungs, brain, breast, etc. 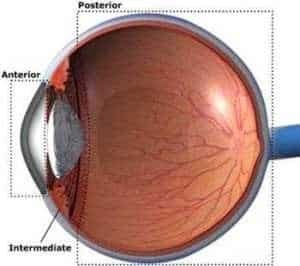 Cisplatin is known to induce toxicities such as nausea, neurotoxicity, liver toxicity, poor functioning of kidney or damage to retina and ear. Oxaliplatin is also a Platinum-based drug that damages the DNA of the cancer cells. It forms cross-links in the DNA to inhibit DNA synthesis. It is used in combination with other drugs to effectively treat breast cancer, colorectal cancer, ovarian cancer, etc. The toxicities induced by oxaliplatin include neurotoxicity, gastrointestinal toxicity, and hematological toxicity. Turmeric has proven its protective effects against various side-effects induced by these drugs. Curcumin, the predominant component of turmeric has been found to protect against many side-effects induced by cisplatin. It guards against nephrotoxicity, neurotoxicity, and ototoxicity (ear damage). Peripheral neuropathy is a prevalent side-effect induced by both cisplatin and oxaliplatin. In a study, the anti-inflammatory and antioxidant activity of curcumin was able to decrease the nerve damage caused by Platinum from these drugs. Curcumin has also been found to protect the kidneys from cisplatin-induced kidney damage. It reduces inflammation, oxidative stress and prevents the death of kidney cells. 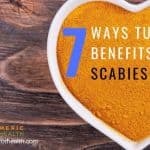 It is found to guard against the ear damage caused by cisplatin by scavenging free radicals and increasing the expression of the hemeoxygenase enzyme. Curcumin’s gastroprotective action is useful against the oxaliplatin-induced gastrointestinal side-effects as well. It means consumption of turmeric can protect from the side-effects of cisplatin and oxaliplatin, which are used to treat various types of cancers. Turmeric can be effective in reducing the damages to kidneys, nerves (especially in peripheral neuropathy), ear and gastrointestinal region. Doxorubicin, commonly available under the name of Adriamycin, is an anthracycline antibiotic drug. It is extracted from the bacterium Streptomyces peucetius var.caesius. This chemotherapeutic drug targets the DNA of cancer cells by generating reactive oxygen species that damage the DNA. It is also thought to disrupt the repair mechanism of the DNA by intercalation. It is used to treat a variety of cancers including breast, lung, gastric, thyroid, non-Hodgkin’s and Hodgkin’s lymphoma, etc. The major drawback of the use of doxorubicin is that it causes cardiotoxicity, i.e. toxicity of heart due to oxidative stress and cell death induced by disruption of DNA repair in the heart cells. It induces cardiomyopathy or damage to the muscles of heart which results in chest pain, abnormalities in blood pressure or even heart failure. Turmeric has been found to attenuate the toxicities induced by doxorubicin. Curcumin’s antioxidant activity reduces the oxidative stress thereby protecting heart, kidney, and liver against the side-effects. In the case of cardiotoxicity, curcumin inhibits lipid peroxidation and enhances the endogenous antioxidants in the cardiac cells and thus prevents the oxidative stress-induced injury to the cells. Turmeric treatment to the cancer patients under doxorubicin treatment can prevent the toxicities induced by the drug. The major side-effect of this drug on heart can be avoided and side-effects on kidney and liver can also be prevented. 5-Fluorouracil (5-FU) is an anti-metabolite chemotherapeutic drug, i.e. it interferes with the normal metabolism of cells by blocking enzymes. In the cancer cells, it prevents cell proliferation by blocking enzyme for thymidine formation, required for DNA synthesis. This drug is used to treat various cancers such as breast, gastric, colon, oesophageal, colorectal, cervical, etc. The toxicities induced by 5-FU are commonly found to be that of gastrointestinal and skin. It is also known to cause side-effects to the liver and heart. Turmeric has a protective action against the toxicities induced by 5-FU as well. Curcumin has been found to reverse the intestinal dysfunction caused by this drug. It could reverse the weight loss, reduce toxin levels in serum and prevent the death of intestinal epithelial cells. It also protects against the toxicities induced by 5-FU in the breast cancer cells. 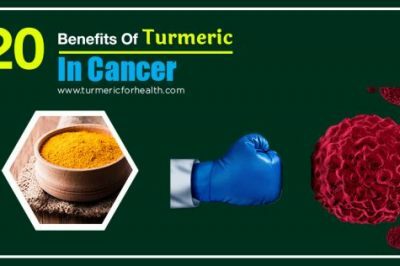 It means the use of turmeric by cancer patients under the treatment of 5-Fluorouracil can help to reduce the toxicities induced by this drug. Turmeric can guard against the intestinal damage and damage to other healthy cells. Methotrexate is another anti-metabolite chemotherapeutic drug. It inhibits the formation of tetrahydrofolate which is required for synthesis is thymidine base of DNA. This prevents cell-proliferation. It also has immune-suppressant properties. This drug is used to treat the cancers of blood, head, neck, lymph node, breast, lung, etc. The toxicities induced by methotrexate include oral mucositis, myelosuppression, liver and skin toxicities. Turmeric administration prior to methotrexate treatment is found to be hepatoprotective. The anti-inflammatory action of turmeric protects the liver cells from injury and it also improves the antioxidant capacity of the liver cells. Turmeric’s antioxidant action has also been found to protect the intestines from methotrexate-induced damage. Administration of curcumin has also shown nephroprotective effects on methotrexate-induced kidney damage. It could prevent damage by decreasing pro-inflammatory molecules like TNF-α, nitric oxide, etc. And by increasing levels of cellular antioxidants in the kidney. It means administration of turmeric prior to the treatment of methotrexate can induce protective effects against the toxicity caused by the drug in liver, intestines etc. Streptozotocin or streptozocin, popularly available under the name Zanosar, is an antibiotic obtained from the bacteria Streptomyces achromogenes. It is also an alkylating agent. It works by the inhibition of DNA synthesis in the cells through cross-linking and free radical generation to prevent cell proliferation. Streptozotocin is specifically used to treat the cancer of islet cell cancer of pancreas and carcinoid tumors. The oxidative stress generated by this drug can result in several toxicities which include diabetes, damage to the kidney and liver. Streptozotocin-Induced diabetes also leads to other side-effects like cataract etc. Turmeric (curcumin) has shown its effect on the streptozotocin-induced diabetic cataract. The reduction of oxidative stress and osmotic stress was effective in preventing or delaying the condition. Dietary curcumin has also been found to counteract the adversities in kidney and liver brought about by streptozotocin-induced diabetes. It means including turmeric in diet by the cancer patients under streptozotocin treatment can benefit in reducing the side-effects of this drug. Mitomycin C is an antibiotic chemotherapeutic drug obtained from the bacteria Streptomyces caespitosus. It is an alkylating agent that generates free radicals and cross-links DNA to inhibit its synthesis and prevent cell proliferation. It is used to treat cancers of oral cavity, lip, breasts, larynx, urinary bladder and digestive organs like stomach and pancreas. The toxicities induced by this drug are those to lungs, kidney, heart, bone marrow, eyes, etc. 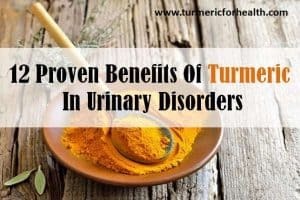 Many studies have highlighted the potential of turmeric to prevent the side-effects induced by mitomycin C. The use of curcumin in mitomycin C treatment has shown protection against the severe side-effects on kidney and bone marrow. The toxic effect of this drug on bone marrow is reduced by curcumin through lowering lipid peroxidation and preventing DNA damage. It means the inclusion of turmeric along with mitomycin C treatment can guard against the severe side-effects of this chemotherapeutic drug. 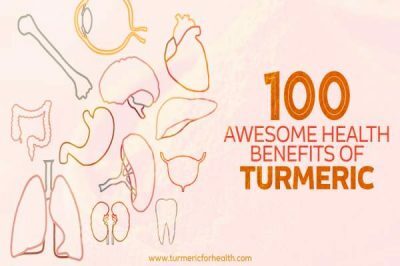 Turmeric can prevent the damage to bone marrow and kidney significantly. Paclitaxel or taxol is a natural chemotherapeutic compound which is extracted from the bark of the tree Taxus brevifolia. It is used in cancer treatment due to its ability to arrest the division of cell during mitosis by preventing disassembly of the microtubule, which results in cell death. It is used to treat tumours in the ovary, breast, lung, prostate, cervix, etc. and also to treat leukemia and lymphoma. Paclitaxel or taxol poses toxicity to the heart, nerves, lungs, etc. and increases the risk of malignant development at other sites in the body. Turmeric has been found to be useful in preventing the side-effects induced by this drug. In a study, curcumin was able to suppress drug resistance to placitaxel treatment (in breast cancer) in lungs and subsequent metastasis. This was a consequence of inhibition of NF-kappa B (induced by placitaxel) by curcumin. It means turmeric can be used to prevent the side-effects of paclitaxel, such as metastasis (development of malignancy at other sites than cancer under treatment). A recent hypothesis has been developed that says that cancers contain a small population of stem cells which renew by themselves and resist conventional treatment. Therefore a therapy is required to target both cancer stem cells and non-stem cancer cells. Peter P. Sordillo and Lawrence Helson in their paper suggest that curcumin can act against cancer stem cells by reducing the production of inflammatory chemicals and interfering in the activity of a number of biochemical pathways responsible for cell survival. Curcumin is readily taken up by malignant cells compared to normal cells but that would be when both are present in the same environment. Curcumin makes the conditions adverse for development of cancer stem cells and at the same time favorable for the development of normal stem cells. Curcumin may not always cause toxic effects on cancer stem cells. It may promote them to develop into cancer cells and then cause cell death. In this manner, no toxic effects are produced that would affect normal cells. This nature of curcumin to differentiate between cancer and normal cells and demonstrate different therapeutic action against each is very interesting. Note: Curcumin offers protection against side effects of chemotherapy. It protects normal cells from the side effects, prevents chemotherapy induced toxicity in other tissues and also protects normal stem cells while killing cancer stem cells. This activity is a result of its antioxidant and anti-inflammatory property. This radioprotective nature of curcumin can be applied to radiation treatment or even as protection from UV or harmful radiation that can cause malignancy or skin cancer. Parshad et al was among the first researchers to suggest curcumin’s radioprotective activity. They observed that treating skin cells and immune cells with curcumin prior to radiation exposure reduces the frequency of DNA damage in normal cells. This effect was attributed to curcumin’s antioxidant property. Similar results were seen in the case of blood cells even at high doses of radiation. Curcumin’s anti-inflammatory property also protects against radiation-induced skin toxicity. Kunwar et al have described that a complex of curcumin and copper protects spleen cells from radiation-induced damage by restoring the activity of antioxidant enzymes. An animal study shows that curcumin administration 2 hours prior to radiation exposure or immediately after treatment attenuates radiation-induced DNA damage in bone marrow cells. Curcumin is also proven to protect from radiation-induced cataract formation and molecular or cell-based lesions occurring after whole body irradiation. 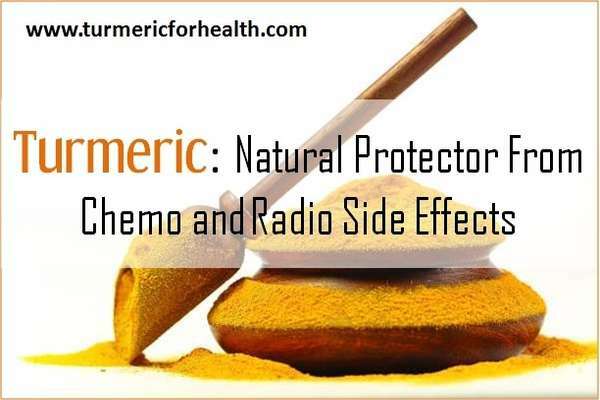 Results of other studies also suggest that curcumin is an effective radioprotector in order to control acute and chronic effects. Radiation therapy tends to interfere with normal response and delays wound healing. 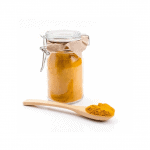 In India applying turmeric paste to wounds is a famous home remedy to treat cuts and burns. Animal studies demonstrate that curcumin enhances the repair response of irradiated wounds. Note: Curcumin offers radioprotection mainly via its antioxidant property. This protection is of use not only in radiotherapy but also against any other harmful radiation exposure like UV rays. It protects normal cells from radiation and also prevents radiation induced toxicity in other parts of the body. Turmeric in the diet is beneficial in preventing cancer. Dietary turmeric is also known to be effective against chemo-toxicity. Certain chemo-toxicity may require a large dosage of turmeric. In this case, the use of turmeric supplements is highly recommended. 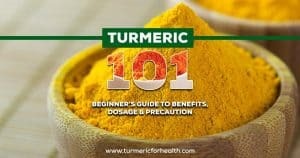 The dose regimen to be followed can be referred from the article Turmeric/ Curcumin Dosage for Cancer: A Scientific Plan. 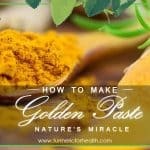 Golden Paste is another option for the consumption of turmeric. It is a paste made of fresh turmeric or its dried powder form mixed with black pepper and healthy fats. 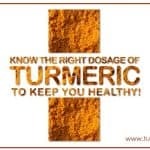 Turmeric intake should be started with low doses (1/4-1/2 teaspoon a day for a week) and can be increased gradually over weeks to 2-3 teaspoons per day if no side-effects related to it is observed. 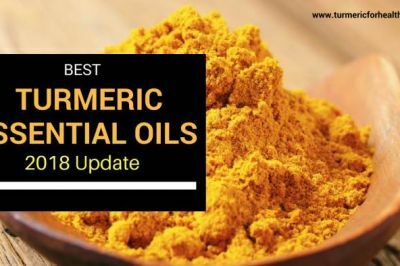 If not taking Golden Paste or turmeric supplements, turmeric use is highly advisable in the regular cooking to prevent and fight chemo-toxicity as well as cancer. Turmeric powder can be added to soups, rice dishes, smoothies, curries or other such preparations. Half-an-inch of fresh turmeric root or its juice form can be consumed. 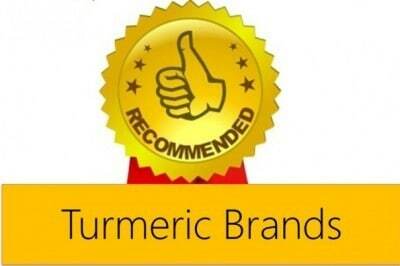 To identify good brands of organic turmeric, you can check our recommendation on best organic turmeric brands. Turmeric in dietary use is considered to be very safe in any type of medical condition. In fact, dietary use of turmeric is highly advisable in cancer which automatically makes it advisable in treating chemo-toxicity as well. Doctor’s advice is indispensable before using turmeric supplements by cancer patients. Avoid taking turmeric supplements at the same time as taking any medications. Maintain a 3-4 hour gap. 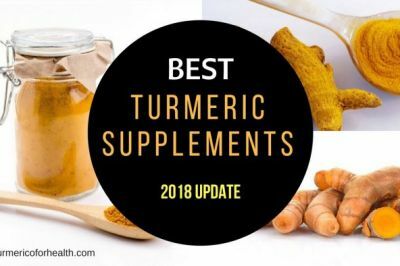 Discontinue taking turmeric supplements if you are scheduled for surgery. It is suitable to stop using turmeric supplements around 2 weeks prior to surgery. Being a blood thinner, turmeric can interfere with the process of blood clotting after surgery. Avoid using turmeric supplements if you are pregnant or breastfeeding. 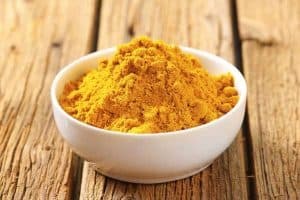 In a recent study published in the journal Biomedicine and Pharmacotherapy, scientists have explored the therapeutic effects of a curcumin analog, BDMC-A in controlling angiogenesis and spreading of cancer cells suggesting that its anti-cancer properties surpass those of curcumin itself. The research included in vitro and in silico studies on MCF-7 cells which are breast cancer cells. The activity of both curcumin and an analog of curcumin i.e. BDMC-A on cancer cell invasion and metastasis were studied and compared. BDMC-A inhibits angiogenesis, a process by which new blood vessels and lymph vessels are formed. Angiogenesis promotes cancer cell growth and proliferation by supplying adequate amounts of oxygen and nutrients to them. It also helps in the prevention of metastasis, a process by which cancer cells spread to other parts of the body and invade new cells. This spreading is facilitated by blood and lymph vessels. The scientists in this study investigated the various mechanisms by which BDMC-A produces its inhibitory effect on angiogenesis and metastasis. They found that it regulates the activity of inflammatory pathways like NF-KB , TGF-beta , TNF-alpha , IL-1 beta and C-SRC all of which play important roles in cancer development and progression. It down-regulates the levels of c-REL , MMP-9 , VEGF , IL-8, and cycloxygenase 2 cytokine thereby preventing cancer cell proliferation and metastasis due to angiogenesis. On comparing the results produced by BDMC-A with those produced by curcumin, they found that BDMC-A was significantly better in controlling the disease and inhibiting its biomarkers than curcumin. They believe that this was probably because of the hydroxyl (-OH) group that was present on the ortho position of BDMC-A structure. It prevents cancer invasion, angiogenesis and it’s subsequent spreading to different organs by regulation of nf-kb and other inflammatory pathways and inhibition of the expression of cancer-promoting proteins and cytokines. The –OH group on its ortho position is responsible for its enhanced activity. This suggests that BDMC-A can help in producing novel therapies for cancer treatment. A study published in Phytotherapy Research, 2014 by Belcaro et. al shows that a specialized formulation of curcumin, one of the active ingredients of turmeric protects cancer patients from toxicity due to cancer treatment. Patients were given 500mg Meriva or placebo thrice a day after meals. Those undergoing chemotherapy but receiving Meriva experienced a significant reduction in side effects such as nausea, vomiting, diarrhea, organ toxicity, reduced platelet count and they even experienced an improvement in cognitive function such as memory and thinking. Even after 2 months of chemotherapy, Meriva improved the health status of cancer patients and there was a reduction in % of individuals facing fatigue, weight loss, cognitive impairment, nausea/vomiting while this was not observed in the group receiving placebo. Even after the treatment, Meriva was found to reduce the side effects of radiotherapy significantly better than the control group. No side effects were observed with Meriva treatment and compliance was good (97%). Due to its anti-inflammatory and antioxidant properties, curcumin was found to protect from side effects of cancer therapy. No cases of drug interaction were mentioned. Overall Meriva was found to be effective in reducing toxicity and side effects of cancer therapy. Authors of this paper are associated with the company Indena SpA that manufactures Meriva. Specialized formulations of curcumin such as Meriva protects cancer patients from side effects of chemotherapy and radiotherapy. For cancer patients under chemotherapy, chemo-toxicity is a major concern that needs to be addressed to better their survival and lifestyle. Turmeric is a highly valuable natural remedy to combat the side-effects induced by chemotherapeutic drugs. Several studies assure the immense potential of turmeric in preventing, treating and even reversing chemo-toxicity. 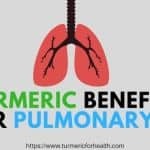 Some of the highly toxic side-effects caused to major body parts and organs, by the widely used chemotherapeutic drugs have been taken care of by turmeric. Additionally, turmeric enhances the anti-cancer effects of a number of these drugs which add to the unmatched benefits of this spice. Concisely it can be said that turmeric is a boon for cancer patients under chemotherapy who suffer from various life-threatening side-effects. Questions: where is your attribution, to whose studies, at what standards of evidence? 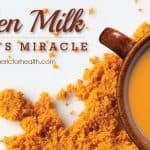 Will the turmeric also protect and reduce toxicity in the cancer cells? If you can take it should it be taken during chemo or after chemo? Or is there a wait time after chemo so as to give the chemo time to kill the cancer cells? 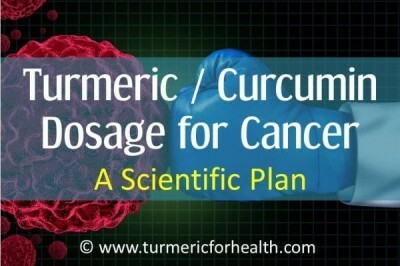 Curcumin in turmeric protects normal cells from toxicity and kills cancer cells. 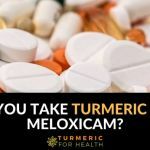 We have the dosage of turmeric and curcumin for cancer outlined in this article , but please consult your health practitioner about the regimen of taking curcumin. Curcumin has a synergestic action with most chemotherapeutic drugs but it is best to consult a doctor with regards to this. My son has Oligodendroglioma 3 and is about to take chemotherapy, temodar. Will taking turmeric reduce the effectiveness of the chemo? Hi. As per research studies curcumin in turmeric increases the therapeutic action of temodar in brain tumors. But these studies have not been conducted with patient populations. Turmeric is highly unlikely to reduce chemotherapy effectiveness. 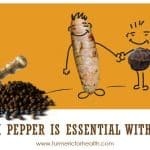 Please consult a health practitioner before starting with turmeric for cancer. Can tumeric be taken with chemo agent Etopiside? Turmeric can be safely included in diet. However for cancer treatment, curcumin supplements are advised. Consult a health practitioner prior. Avoid taking curcumin supplements at the same time as taking any medicines. Keep a 3-4 hour gap. Curcumin is found to have a synergistic effect with etoposide in cancer. I am from India. Taking breast cancer chemo. Can we take curcumin with docetaxol and endoxon? Hi. Curcumin benefits in breast cancer treatment. Studies show that curcumin may increase therapeutic effectiveness of the chemotherapeutic agents docetaxel and endoxon. It is best to consult a health practitioner about this. Avoid taking curcumin supplements at the same time as taking any meds. Maintain 3-4 hour gap. 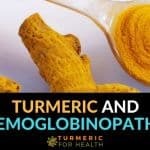 I am undergoing ABVD chemothreapy.Is it safe to consume turmeric powder during my treatment for hodgkin’s disease? Consult a health practitioner prior. Can tumeric/curcumin be taken with Avastin and FOLFOX? Hi. Turmeric and curcumin have synergistic effect with avastin and FOLFOX. Based on research, yes it is safe to take turmeric/curcumin with these meds but it is best to discuss this with a doctor prior. If taking curcumin supplements avoid taking it at the same tame as other meds, maintain a 3-4 hour gap.